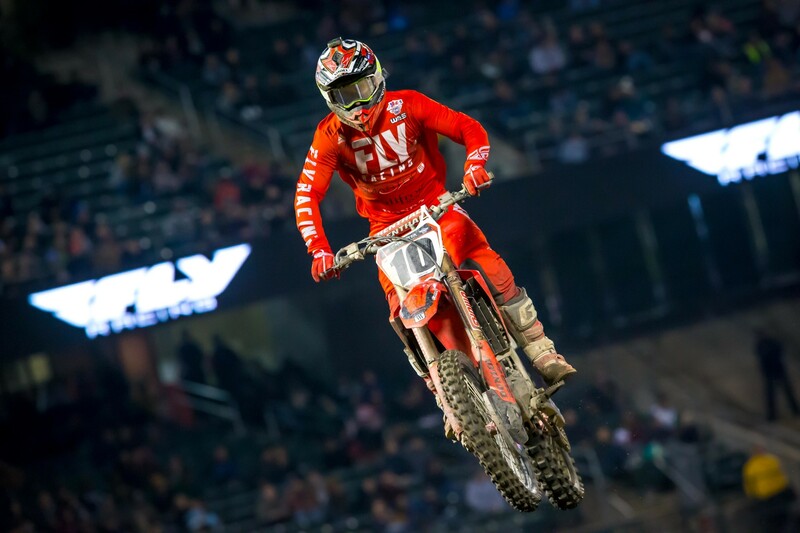 Smartop/Bullfrog Spas/MotoConcepts Honda's Justin Brayton hurt himself during the first 450SX heat race in San Diego and suffered a thumb injury that led him to withdraw from racing for the rest of the evening. We texted the veteran and 2018 Daytona SX winner yesterday and he indicated he suffered a partially torn ligament. "It's okay, partially torn ligament but not that bad," read his text. "It won't keep me out of anymore races." Brayton will line up this weekend in Minneapolis. We'll check on his status throughout the weekend.